The next workshop organised by EUREC, in cooperation with Fraunhofer-ISE, will take place on 6th and 7th December 2016 in Freiburg (Germany). The EUREC workshop will be a unique opportunity to take stock on the existing projects, and results on energy system modelling, with a view to identifying topics where further research is needed. The EUREC Position Paper "The Future Shape of European Renewable Energy Research and Innovation” is a combined input to three related EU initiatives: Energy Union’s R&I dimension, the SET Plan and Horizon 2020’s interim evaluation. These are all affected by, and themselves affect, the framework for the exploitation of renewable energy in Europe. On the 30th November, the European Commission is expected to release key proposals in this regard. The publication starts with a look at the big picture. We set out our view on the path that the EU’s energy system should follow. We also comment on reform of the electricity market – a hot topic, with legislative proposals expected from the Commission at the end of November. The European IPR Helpdesk is a service initiative funded by the European Commission offering information, individual support and training in the field of Intellectual Property (IP). 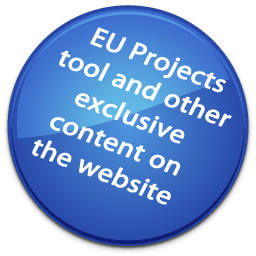 The service is targeted at researchers and European small and medium-sized enterprises (SMEs) participating in EU-funded collaborative research projects. In addition it addresses SMEs involved in international business and technology transfer processes. Whether you need personal support on a specific IP issue, want to be informed about the latest developments in the world of IP and Innovation in Europe, or are interested in a training session on IP – the European IPR Helpdesk is the right partner to turn to. Copyright © 2011-16 EUREC E.E.I.G.